I did not take out enough books from my library last year, so this is the perfect challenge to remind me to do it more often. It is hosted at Home Girl's Book Blog. My goal will be to read 12 books from my local library. 1. The goal is to read 12, 25, 50, or 100 books from your local library. Anyone can join. You don't need a blog to participate. Non-Bloggers: Post your list of books in the comment section of the Post Your Reviews post. 2. Any book from your local library counts. 5. 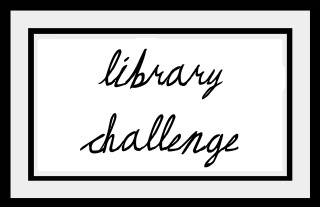 Challenge begins January 1st and continues through the end of December, 2011. Good luck with your challenge. My local library isn't very good, and it discourages me from going.